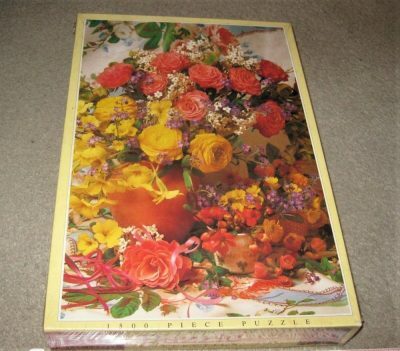 Educa manufactured this beautiful puzzle in 2006. The title is The Flower Shop, by Jan McLaughlin. 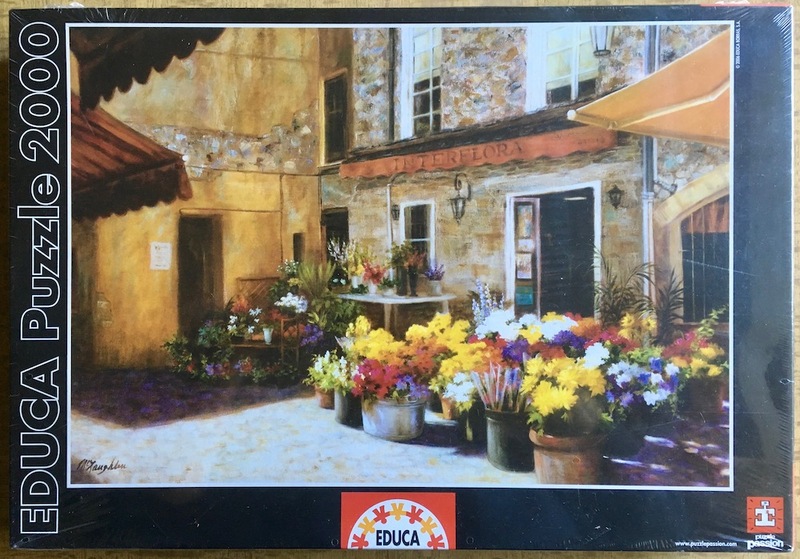 Educa has published several puzzles with paintings by Jan McLaughlin, like the 3000 pieces version of Campo di Fiori. This artist often uses flowers in her works and she is an expert combining light and shadows. 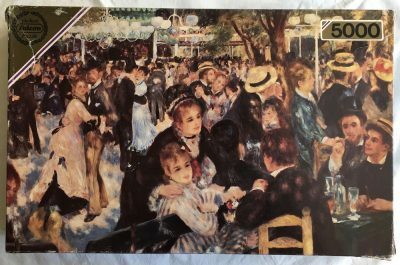 Her paintings are easily recognizable. Other titles: La Tienda de Flores; A Loja de Flores. Next Product	2000, Blatz, Neuschwanstein Castle, Bavaria.